Living a healthy lifestyle is a brave task – especially in the face of a complex medical situation or chronic disease. As a Blue Cross Blue Shield member, your health plan is with you every step of the way. The Blue Cross Blue Shield Association is now collecting submissions for its annual Faces of Fearless℠ Award, which celebrates inspiring stories from members across the country about conquering health challenges with the support of Blue Cross Blue Shield plans like Independence Blue Cross. Independence invites its members who fearlessly persevere, triumph, and inspire to submit their story in photos and 300 words or less on www.bcbs.com/facesoffearless by 5 p.m. on February 28, 2019. 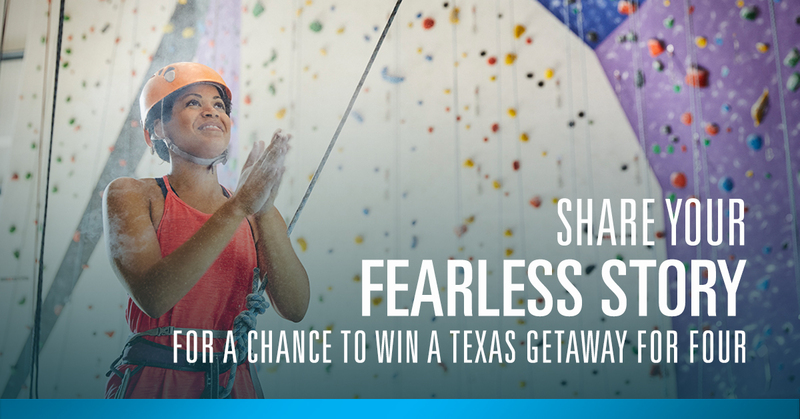 The most compelling stories will win the 2019 Faces of Fearless℠ Award, including a trip for four to the charming and historic city of Grapevine, Texas from April 30 to May 2, 2019. Describe the health challenged faced by the member (or a minor child in his or her legal guardianship) and how the member (or child) overcame the challenge to live a healthier life. Demonstrate how Independence provided a sense of security through its benefits, resources, and support throughout the journey. Participants must be at least 21 years old and be insured continuously by a Blue Cross Blue Shield plan(s) from January 17, 2019, or earlier, up to and including May 21, 2019.